This 18 quart high quality heater was designed especially for heating massage stones and is large enough to allow full body massage treatment (fits approximately 100 stones). 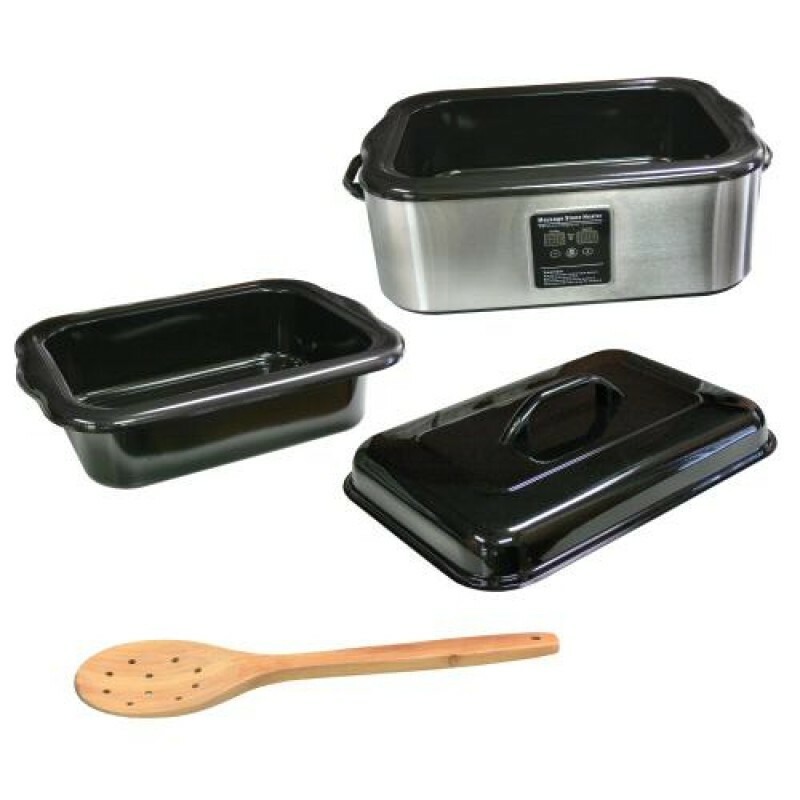 It has a teflon-coated water reservoir that features an easy-to-clean finish. The heater comes with a slotted wooden handle and a thermometer.